Der Himmel lacht! Die Erde jubilieret (Heaven laughs! Earth exults), BWV 31,[a] is a cantata by Johann Sebastian Bach, a church cantata for the first day of Easter. Bach composed the cantata in Weimar and first performed it on 21 April 1715. On 2 March 1714 Bach was appointed concertmaster of the Weimar court capelle of the co-reigning dukes Wilhelm Ernst and Ernst August of Saxe-Weimar. As concertmaster, he assumed the principal responsibility for composing new works, specifically cantatas for the Schloßkirche (palace church), on a monthly schedule. 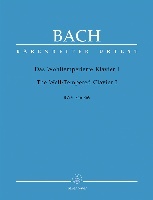 Bach composed the cantata for Easter Sunday in 1715. 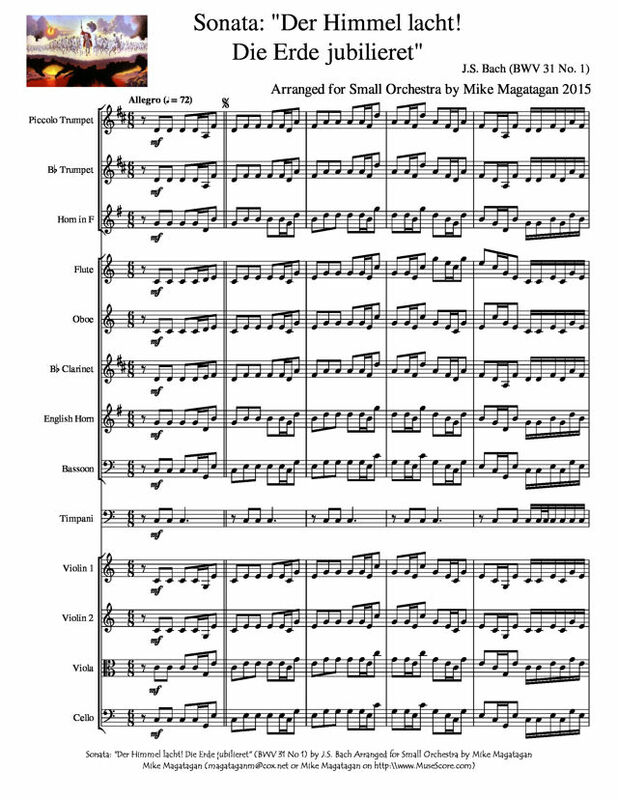 The festive character of the work is demonstrated by a sonata with a fanfare-like introduction, a concerto of the three groups brass, reeds and strings, all divided in many parts. The first choral movement, sung by a five-part chorus, evokes the "celestial laughter and worldly jubilation" of the text, according to John Eliot Gardiner. 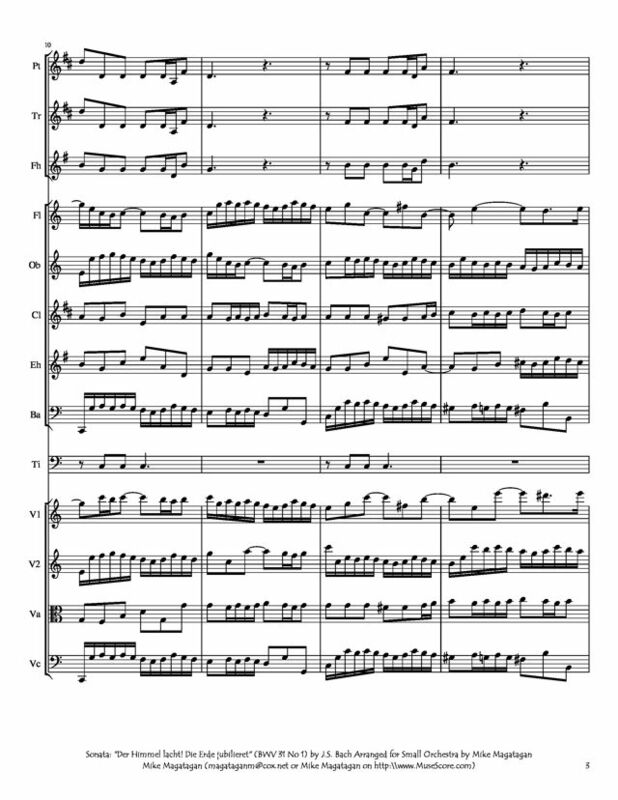 The cantata in nine movements is festively scored for three vocal soloists (soprano, tenor and bass), a five-part choir (SSATB), three trumpets, timpani, three oboes, taille (tenor oboe), bassoon, two violins, two violas, two cellos and basso continuo. The scoring for five parts in the choir, five parts in the woodwinds and six parts in the strings is unusual. 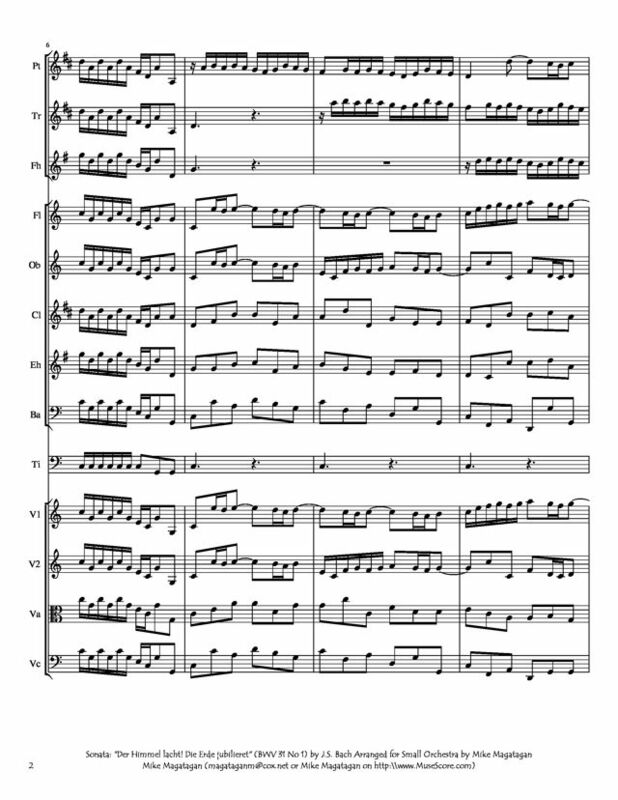 I created this arrangement of the opening Sonata: "Der Himmel lacht! 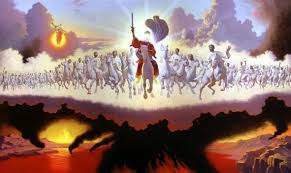 Die Erde jubilieret" (Heaven laughs! Earth exults) for Small Orchestra (Piccolo Trumpet in Bb, Bb Trumpet, French Horn, Flute, Oboe, English Horn, Bassoon, Timpani, 2 Violins, Viola & Cello).